Here are two math hands-on activities that I made last year and the kids are enjoying them again this year. 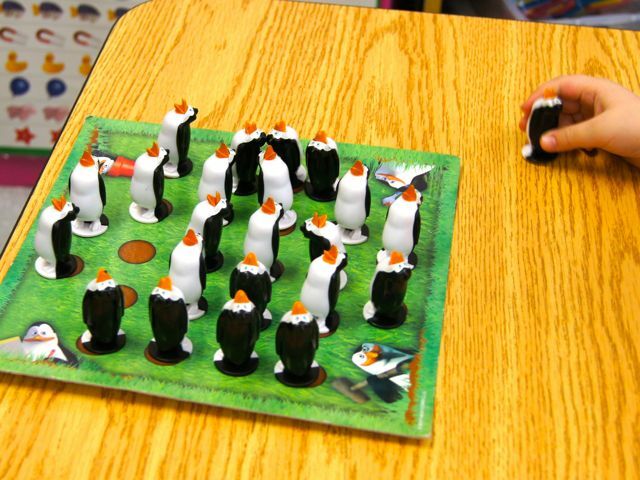 I got the original penguin match game at Tuesday Morning and I saw it at Under Five. I just didn't put on the stickers that came with the game. I put on 2 sets of stickers with numbers to 20. 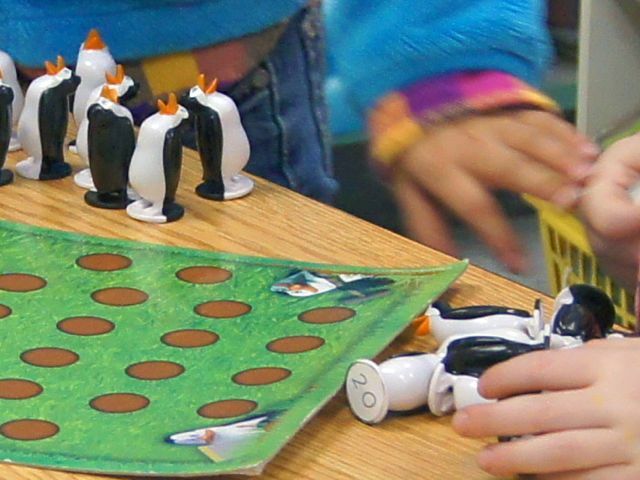 The students play like regular memory - but oh so much better with penguins to lift. The other game I made with penguin figures from an old Mailbox magazine that I scanned and printed with numbers 1 - 28. 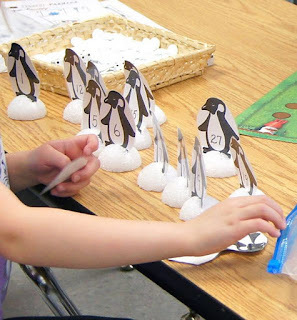 Then I cut styrofoam balls in half and put a slit on the top for the penguins. The students line up the balls in number order and then ask a friend to check. Hurray I finally got my blog started!